When Zerie Greenapple's friend is arrested for using her magic, she knows she must do everything she can to protect her own magic...even if it means traversing the dangerous landscapes of Oz and encountering strange creatures along the way. Zerie and two friends set out to find Glinda the Good, in the hope that she can help them defeat the evil Princess Ozma. But what they experience on their journey might just tear them apart. Will magic be enough to save these three friends? Based on how thin this book was, I had a feeling that this book was middle grade. I was intrigued by the fact that this is from a new publisher and that it is both a take on the Oz tale and has fantasy elements. I enjoyed Bewitched in Oz. It absolutely skews towards a younger middle grade reader (I am thinking elementary school, not middle school. The language in Bewitched is very simple and very juvenile. The author makes the characters speak very plainly (including thoughts). I could see how children would connect and relate to that and enjoy it, but as an adult reading it- it felt very cheesy. The plot to Bewitched is simple. Zerie and her friends all have magical talents, but they have to hide them from the people of Oz because they will get taken away by the Wizard and Princess Ozma if they are caught with magic. So they practice alone and at night... inevitably they are caught. They escape and make their way down the yellow brick road (yellow road of bricks? Was the phrase "yellow brick road" copyrighted?) to find Glinda the Good, who will help protect them against Ozma. There are a few unexpected twists and turns, but mostly this book is adventurous fun. 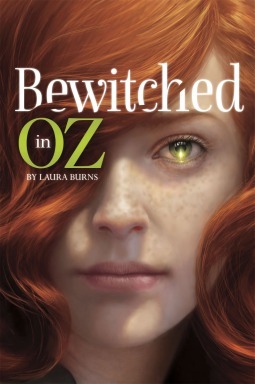 If you have a middle grade reader who loves Oz or retellings- they will have fun reading this short novel set in the land of Oz. I can't say I am clamoring for the next book, but I didn't regret reading it.